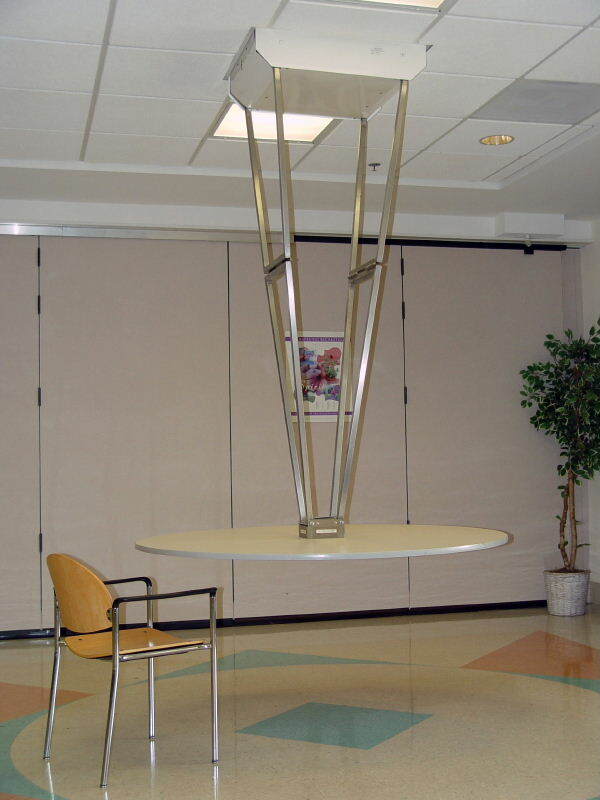 T-fab suspended tables enable you to look at available room space in a new light. Just flip a switch and you can convert your dining room to a recreation area, therapy center, visitors lounge, or chapel…easy does it! 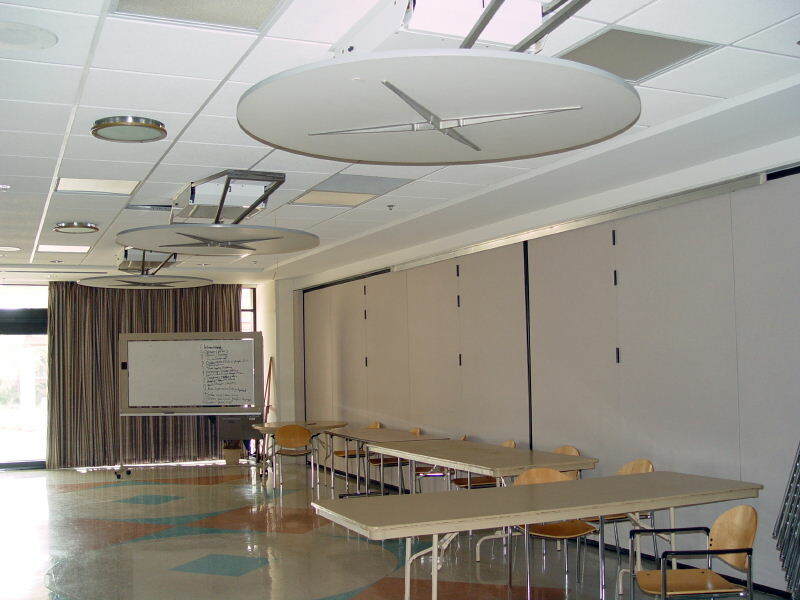 To set up for dining, just lower as many suspended tables as you wish from their stored position under the ceiling. The T-fab electrically operated system makes it easy! Place the table settings and you’re ready to serve. When the meal is over, switch the tables to the stored position, and in minutes the dining area is converted to multi-purpose use. You do it all with fewer people…in less time…with no table storage hassles! Suspended tables are available with 60-inch diameter, plastic laminate tops, for seating up to eight persons in comfort. Table top and underside, in colors of customer choice, can be in wood-grain, marbleized, or solid varieties to match existing interiors. Underside of table features rigid metal support structure. Suspension arms are made of corrosion resistant stainless steel for easy cleaning.